Long ago, there was a time when nearly every grocery store in America had an arcade machine or two in its foyer. It was a great place where parents could park their kids for extended lengths of time with a handful of quarters while they’d browse the food aisles. In retrospect, I can only imagine how leaving a child unattended at the front entrance of a store was a bad idea for a myriad of reasons. In any event, I distinctly remember one time stumbling across a particularly interesting game in such an environment in 1991 during a family trip. That game was Street Fighter II: The World Warrior. I was 15 at the time and been gaming on consoles and arcades for a decade by then. Oddly enough, the game was completely vacant…no one was playing it nor was there a line to play. My mom bid me adieu and went shopping. I stood there fixated on the machine and watched the demo run for a few minutes. SFII looked unlike anything I had ever seen before. Sure, I loved beat-em-up games like Double Dragon, Final Fight, Pit-Fighter, Karate Champ, etc. But SFII was fundamentally different those games in that it was strictly a one-on-one fighting game. 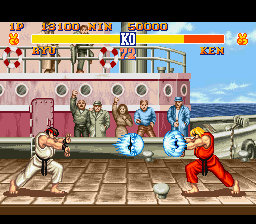 Instead of warding off waves of incoming baddies, you were simply pitted against one other fighter in a first-to-two-won-rounds setup. Not only that, you could actually pick from one of eight different fighters…each with his or her own particular style and technique. After watching the demo loop a few times, I threw a quarter into the machine. I distinctly remember picking Dhalsim. He was a stretchy arm/leg guy who I incorrectly assumed would be completely dominant due to his range. I believe my first fight was against Zangief the Russian wrestler, or Blanka the crazy green animal guy. Despite having very little idea of how to play the game, I did okay. I mashed the set of six buttons in an erratic fashion and pulled out a few wins, but I was by no means awesome. I noticed that Dhalsim had great range and was actually deceptively strong, but he was also very slow. In subsequent trips to local arcades, I began to pick-up on the fact that each fighter possessed strengths and weaknesses in terms of power, speed, stamina, range, etc. Video game publications like Electronic Gaming Monthly and GamePro would feature in-depth strategies and guides for SFII in the hope of offering players some insight into the game’s intricacies. When I wasn’t in an arcade, I would study these magazines and try to more deeply understand the game in order to become proficient. Not satisfied with simply generalizing strategies, I actually studied screenshots and character animations in order to better understand each fighter’s hit boxes and movements frame by frame. My neighborhood buddies would make pilgrimages to the local arcades whenever we could and stood in lines upwards of twenty deep just to get a shot. Lining-up quarters on the cabinet bezel was the way to signify that you were ready to scrap. And we did. And we would sometimes win and sometimes lose, but we always got better. In the summer of 1992 during another week-long family trip to the Pocono Mountains, I bought a Super Nintendo Entertainment System and a copy of Street Fighter II. No more quarter-squandering for me; I was in the big-time now. I played the absolute living hell out of that game. Each time the game would start-up, I’d sprint through the options menu so as to properly map my controller to more closely resemble the 6-button arcade layout (this completely annoyed my friends…I guess they felt it infringed on actual playing time). The more I played, the more I came to prefer choosing Ken, a karate-type martial artist, as my main fighter. SFII became an overnight addiction and I certainly wasn’t alone. SFII would become the third-highest grossing arcade machine ever made following behind Pac-Man and Space Invaders. Being as those two aforementioned titles had a decade head-start, I think that speaks volumes for SFII’s success. SFII would also be ported to nearly every available console of its time as well as many future machines. Additionally, SFII was constantly being updated, tweaked, improved, and expanded. SFII: Champion Edition allowed for two players to pick the same character as well as selectability as one of the previously unplayable final four end bosses. This led me to abandon Ken in favor of Sagat whom I stuck with in each subsequent Street Fighter game and still use religiously to this day (we bald guys gotta stick together). Then there was SFII: Turbo, Super SFII, Super SFII Turbo…you get the gist. Despite the fact that SFII is by its very name a sequel to a previously existing one-on-one fighting game from 1987, the original had barely any impact on the arcade scene…not when compared to SFII. SFII was beyond revolutionary; it single-handedly created a genre of gaming that has become one of the most popular in the industry. 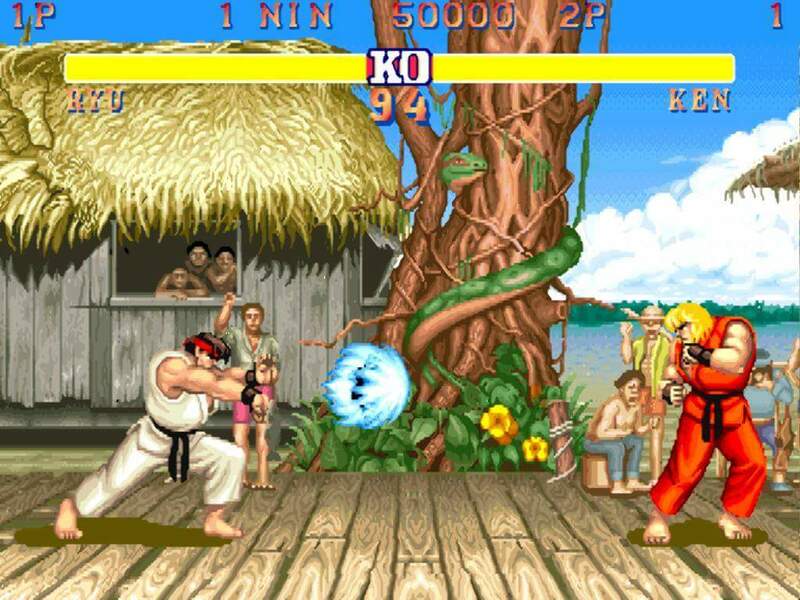 Essentially, Street Fighter II was and is the gold standard of fighting games. Thinking back to that day at the grocery store never fails to bring a smile to my face. Before the craze hit…before the long lines at the arcade, before the press coverage, before strategy guide, before Hollywood obtained the movie rights, before Sagat’s menacing visage became my life-long gaming avatar…for just a brief moment in time, it was just me and a machine. A guy frantically mashing buttons to try to figure out how to make Dhalsim shoot out of his mouth again while his mom was busy buying a pot roast. Now you can add videos, screenshots, or other images (cover scans, disc scans, etc.) 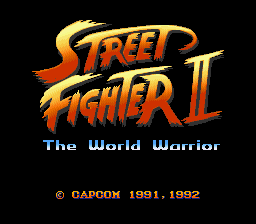 for Street Fighter II - The World Warrior (Japan) to Emuparadise. Do it now!